N 40° 11' 15" and E 44° 31' 0"
K’och’ar Ye. 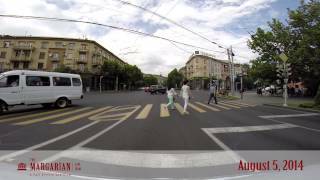 in Yerevan is a place in Armenia a little north of Yerevan, the country's capital city. Current time in K’och’ar Ye. is now 03:26 AM (Tuesday). The local timezone is named Asia / Yerevan with an UTC offset of 4 hours. We know of 9 airports near K’och’ar Ye., of which 3 are larger airports. The closest airport in Armenia is Zvartnots International Airport in a distance of 7 mi (or 11 km), South-West. Besides the airports, there are other travel options available (check left side). There are several Unesco world heritage sites nearby. The closest heritage site in Armenia is Cathedral and Churches of Echmiatsin and the Archaeological Site of Zvartnots in a distance of 12 mi (or 19 km), West. If you need a hotel, we compiled a list of available hotels close to the map centre further down the page. While being here, you might want to pay a visit to some of the following locations: Yerevan, Ashtarak, Artashat, Aralik and Tasburun. To further explore this place, just scroll down and browse the available info. Let's start with some photos from the area. 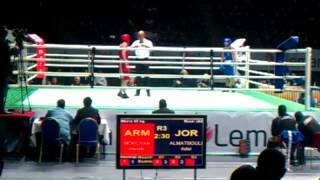 ARMENIA, YEREVAN 2012 YOUTH BOX WORLD CHEMPIONSHIPS ARMENIA vs Jordan, HENRIK MOKOYAN 52kg 2-3 Round. The Armenian Academy of Sciences (Armenian: Հայաստանի Հանրապետության գիտությունների ազգային ակադեմիա) is the primary body that conducts research in and coordinates activities in the fields of science and social sciences in the Republic of Armenia. It was founded on November 29, 1943. 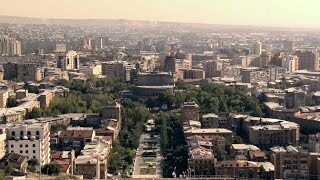 The Academy of Sciences central location is in the capital of Armenia, Yerevan, although other branches exist in Gyumri, Sevan, Goris, Vanadzor and Ghapan. Located at 40.1917, 44.5086 (Lat. / Lng. ), about 1 miles away. Located at 40.1899, 44.5091 (Lat. / Lng. ), about 0 miles away. Yerevan State Medical University after Mkhitar Heratsi (YSMU, Armenian: Մխիթար Հերացու անվան Երեվանի Պետական Բժշկական Համալսարան) is a leading medical school in Yerevan, Armenia. Located at 40.1878, 44.5253 (Lat. / Lng. ), about 0 miles away. The State Engineering University of Armenia (SEUA) (Armenian: Հայաստանի Պետական Ճարտարագիտական Համալսարան) is a technical university located in Yerevan, Armenia. Established as the Yerevan Polytechnic Institute in 1933, it provides educational and research programs in various fields of technology and science related to engineering. Currently there are more than 10,000 students and more than 1,000 faculty members. Located at 40.1911, 44.5231 (Lat. / Lng. ), about 0 miles away. Located at 40.19, 44.5092 (Lat. / Lng. ), about 0 miles away. Located at 40.1775, 44.5126 (Lat. / Lng. ), about 1 miles away. Located at 40.1842, 44.5247 (Lat. / Lng. ), about 0 miles away. 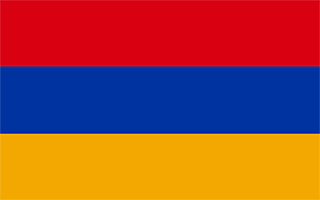 The National Library of Armenia (Armenian: Հայաստանի Ազգային գրադարան) is the legal deposit and copyright for Armenia. 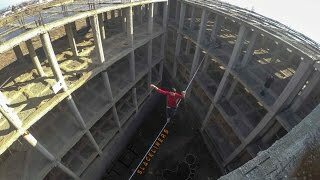 It is located in Yerevan. The building dates from 1939 and was designed to house seven million books. The oldest book is Urbatagirk. Located at 40.1897, 44.5243 (Lat. / Lng. ), about 0 miles away. The Institute of Mathematics of National Academy of Sciences of Armenia originated as the Section for Mathematics and Mechanics, created within the newly formed Armenian Academy of Sciences in 1944. The section later developed into an Institute of Mathematics and Mechanics of Armenian Academy of Sciences whose first Director was Academician Artashes Shahinian, known for his results in complex analysis. Located at 40.1926, 44.5081 (Lat. / Lng. ), about 1 miles away. Located at 40.1907, 44.5218 (Lat. / Lng. ), about 0 miles away. Located at 40.1781, 44.5131 (Lat. / Lng. ), about 1 miles away. Located at 40.1902, 44.5134 (Lat. / Lng. ), about 0 miles away. The Cafesjian Center for the Arts is an art museum in Yerevan, Armenia. 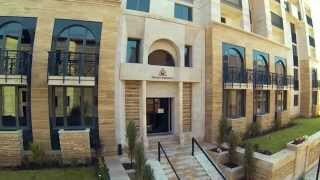 It is situated in central Yerevan in the area in and around the Cascade. At the core of the museum's permanent collection is the Gerard L. Cafesjian Collection of Art. The inauguration took place on 17 November 2009. Located at 40.1934, 44.5157 (Lat. / Lng. ), about 0 miles away. Located at 40.1787, 44.5142 (Lat. / Lng. ), about 1 miles away. Located at 40.1911, 44.5156 (Lat. / Lng. ), about 0 miles away. Located at 40.1961, 44.5217 (Lat. / Lng. ), about 1 miles away. Located at 40.1819, 44.5097 (Lat. / Lng. ), about 1 miles away. These are some bigger and more relevant cities in the wider vivinity of K’och’ar Ye..